So here in central New York, autumn is slow to come (seems like pumpkin pie ice pops are still a good option…). I love it though, and so even though it’s still warm and green here, I’ve been getting excited about fall flavors (all the different kinds of squash! apples! pumpkin pie spices!). Pumpkin pie spice is so popular now, that even M&M’s and Poptarts, among others, have hopped on the bandwagon. As a chemist, spices are a really interesting, because the flavors can often be traced to a few specific molecules. Some of them are shared between molecules, and I think it’s interesting to look for commonalities because sometimes the spices have obviously similar tastes, but sometimes it’s less obvious. Anyway, pumpkin pie spices often come in prepackaged bottles, but you can also make your own. Every brand’s and each recipe are probably a little bit different, but generally the mixes consist of cinnamon, ginger, allspice, ground cloves, and nutmeg (maybe with the addition of mace). 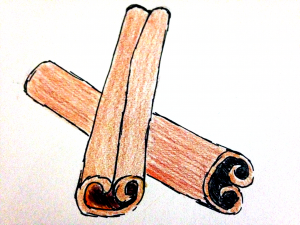 Cinnamon comes from the inner bark of Cinnamomum trees, which is perhaps not surprising if you look at cinnamon sticks—they clearly are not sticks, despite their name. To make the sticks, the outer bark is removed and discarded, and the inner bark is allowed to dry over several hours, during which time it curls into the familiar sticks that we are familiar with. What may be more surprising is that the cinnamon that Americans are most familiar with is not “true” cinnamon. There are two common types of cinnamon: cassia cinnamon (or Chinese cinnamon) and Ceylon cinnamon (also known as true or Sri Lanka cinnamon). Generally, in the United States, the cinnamon that you can buy ground or in sticks is actually cassia cinnamon. In Europe, the cinnamon is generally Ceylon cinnamon. Ceylon cinnamon and cassia cinnamon actually have somewhat different properties. Cassia cinnamon is harder and forms nice, thin curls. It also has a more pungent, spicy flavor. Ceylon cinnamon is softer, flaky, and can be ground more easily. It has a milder flavor and cannot withstand heat as well as cassia cinnamon. It is unlikely, however, that you would normally buy Ceylon cinnamon in the US, unless you went to a specialty spice shop like Penzey’s—they do sell Ceylon cinnamon. Finally, the molecule that gives cinnamon its characteristic, dominant flavor is cinnemaldehyde. As the name might suggest, it is an aldehyde, a type of molecule that is often quite pungent, consider that the characteristic flavors of vanilla and almonds are caused by aldehydes. Ginger is the root of a number of species in the Zingiberaceae family. Turmeric (also a root) and cardamom (a seed pod) are also in this family. The ginger found in pumpkin pie spice is not fresh ginger, but rather is dried and then powdered, which actually changes the flavor profile. Fresh ginger is mild compared to older ginger, and especially mild when compared to ginger powder. 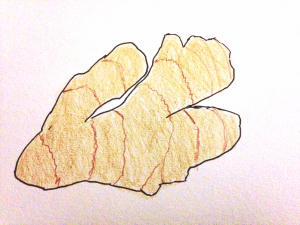 In fresh ginger, the active flavor compound is gingerol, a pungent molecule that, when pure, forms a yellow oil. When ginger is heated, however, the gingerol reacts to form zingerone, which is milder. Ginger’s anti-nausea properties may be caused by zingerone. Drying without heating the ginger, on the other hand, leads to the formation of shogaol, which has a spicier flavor than gingerol. The conversion of gingerol to shogaol is responsible for the stronger flavor of dry ginger to fresh ginger. Although it’s not really appropriate to do so in a dry spice mix, you can replace fresh ginger with dried in a ratio of 6:1. Nutmeg comes from trees in the genus Myristica from New Guinea. 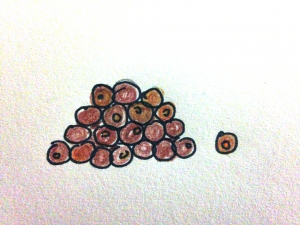 It is found inside the fruit of the tree—when the flesh is removed, there is a pit with a red fibrous substance covering it. That red fiber becomes mace, which is similar in flavor to nutmeg but a little milder and is often used in more savory foods. 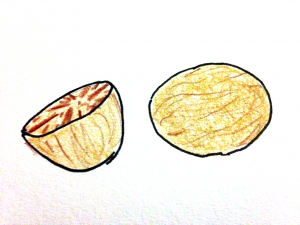 The pit itself becomes nutmeg, which is usually most flavorful when grated directly from the nut. Nutmeg is alleged to have psychoactive properties caused by the molecule myristicin. Normal consumption of nutmeg will not have psychoactive effects—you need to eat several of the nuts, which I cannot recommend, as consuming nutmeg at those amounts can have other adverse effects. 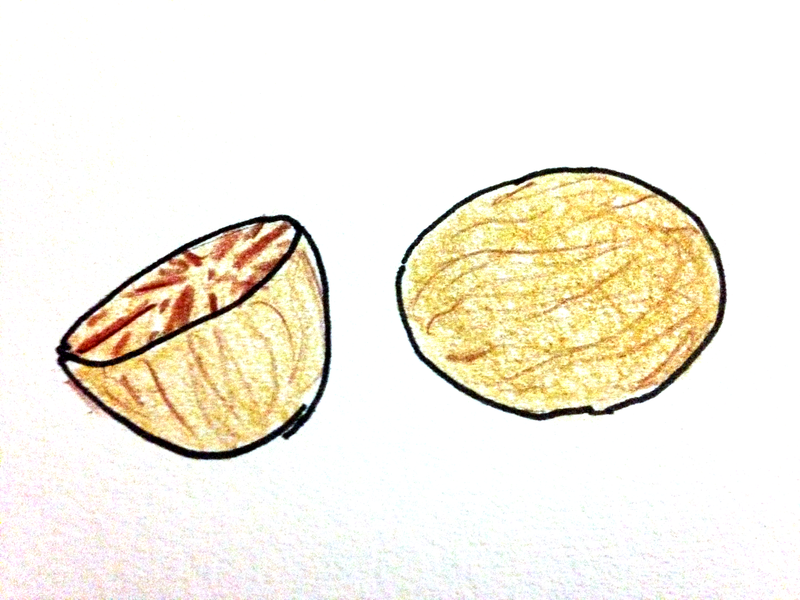 Nutmeg also contains eugenol, which contributes to its flavor. 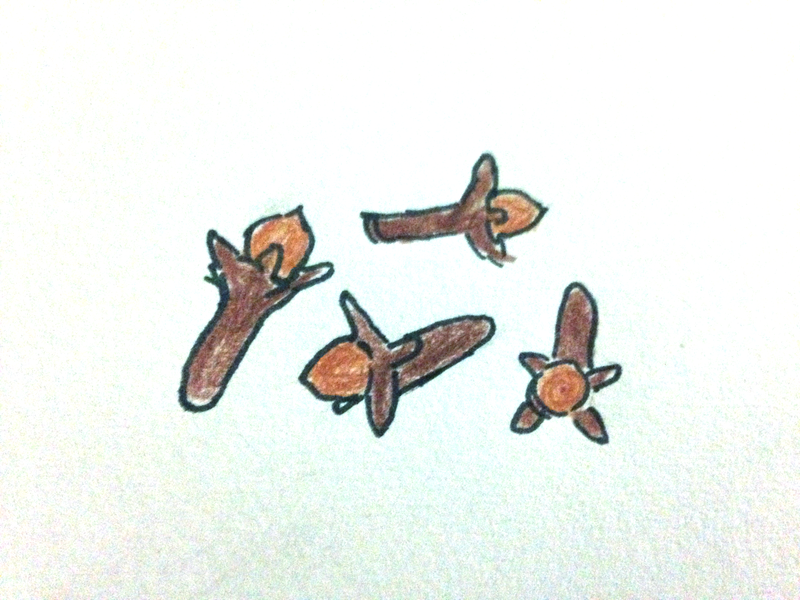 Clove is the dried buds of immature flowers of a certain type of myrtle tree found in Indonesia. The tree is in the same family as the tree that produces allspice berries. Eugenol gives cloves the majority of their flavor. Clove oil, or just eugenol is used in some commercial products like dental hygiene products because it has a mild numbing effect, though my personal favorite place for it is in clove candies. Allspice comes from the unripe berry of a myrtle tree from Jamaica, in the same family as cloves. To prepare them, they are picked when green, fermented, and then dried and browned. This produces the small, round spices that you buy. Similar to cloves and nutmeg, it also has eugenol as one of its main flavors. 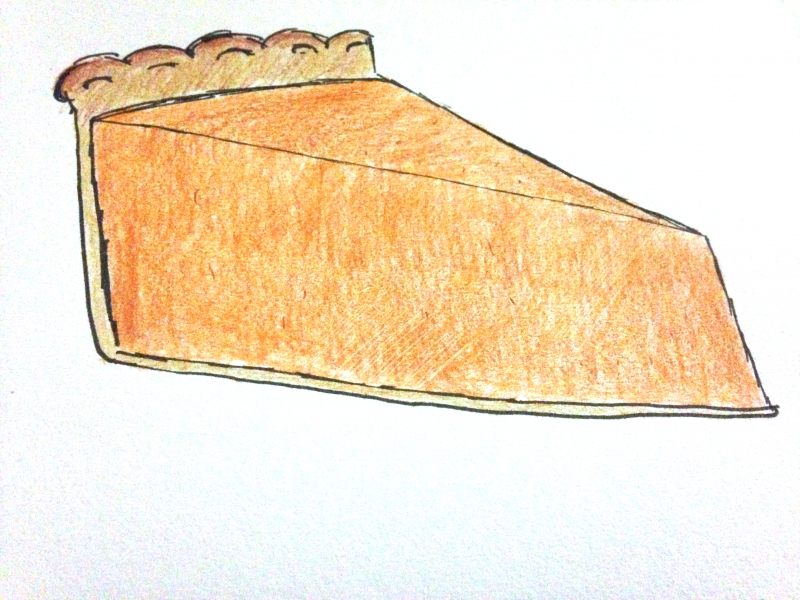 A lot of the spices in pumpkin pie spice have many similar flavor molecules between them, and they tend to be pungent. If this energizes you to go make pumpkin things now, go ahead and make the pumpkin pie ice pops. Or, keep an eye out for a new pumpkin pie spice recipe coming later this week.